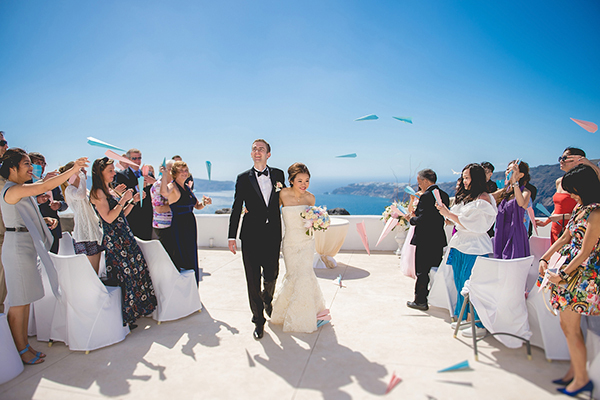 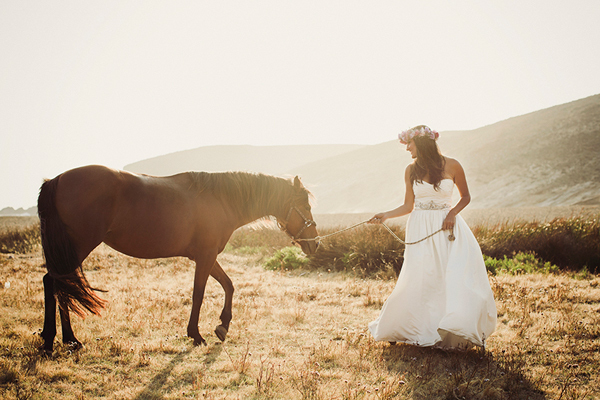 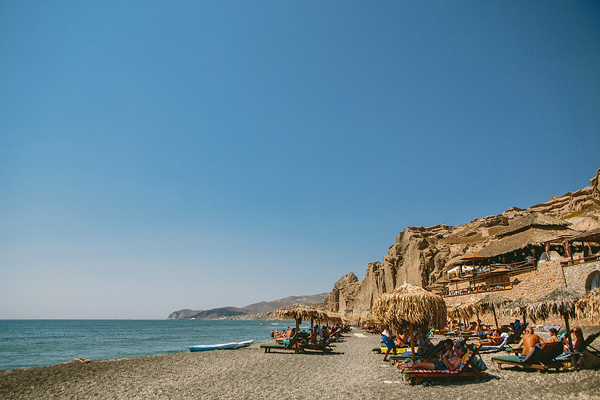 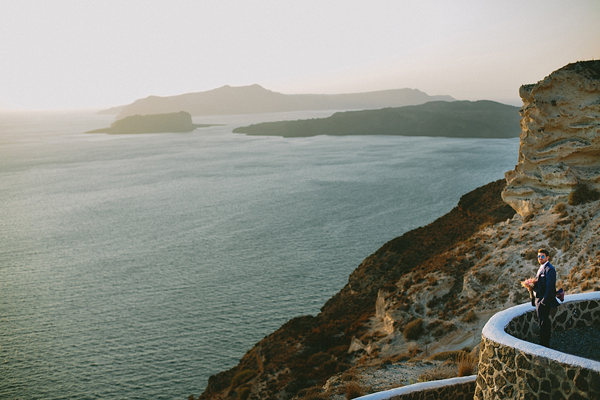 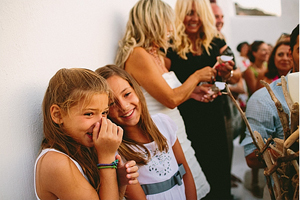 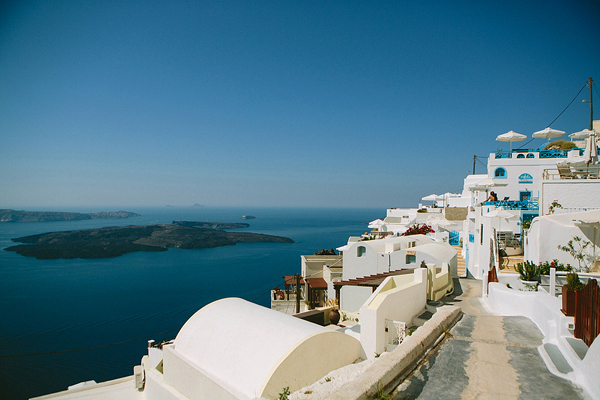 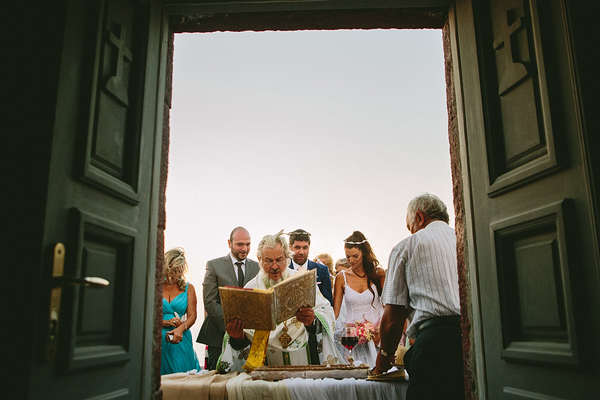 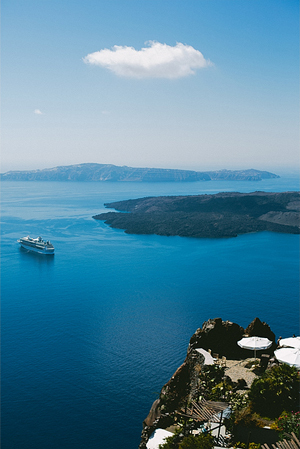 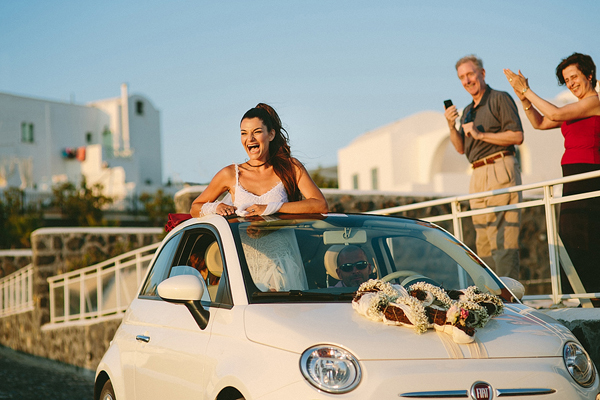 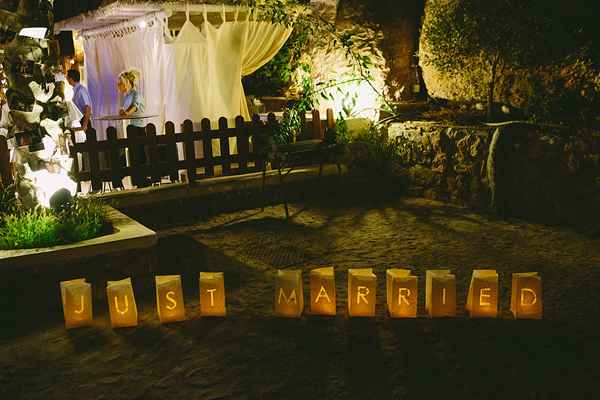 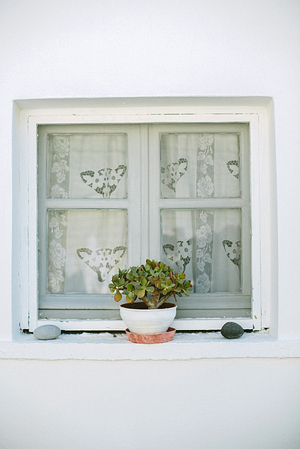 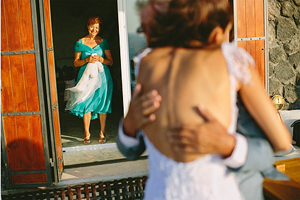 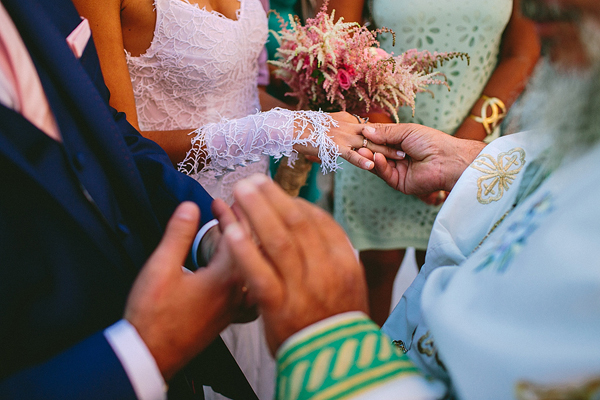 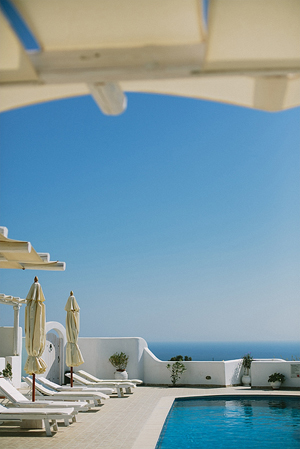 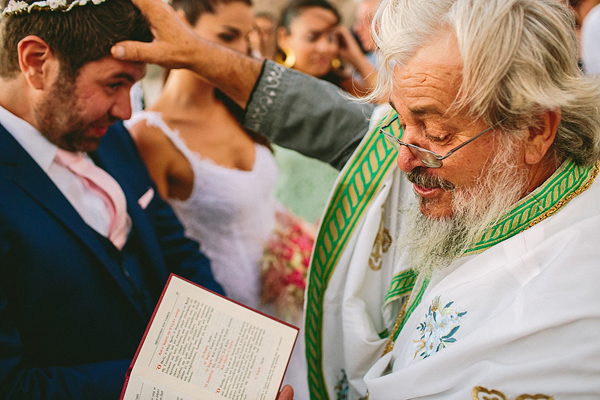 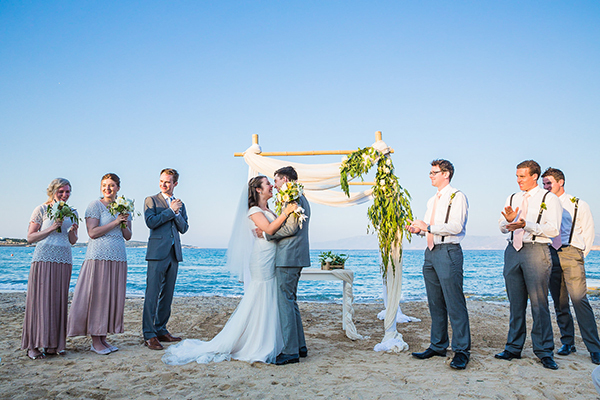 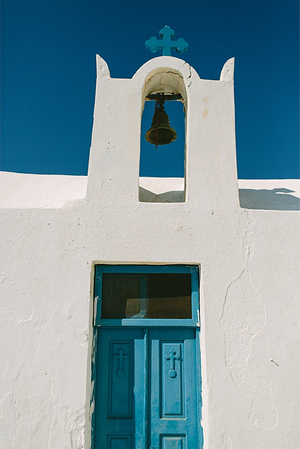 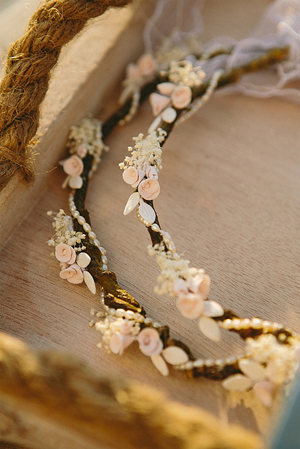 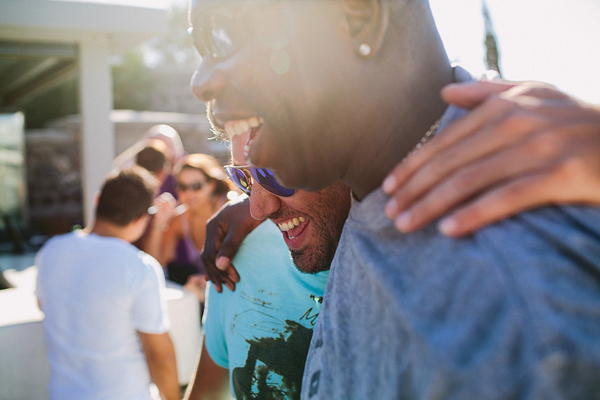 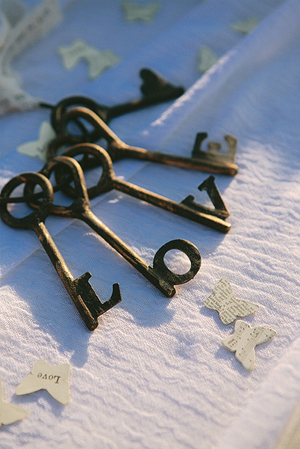 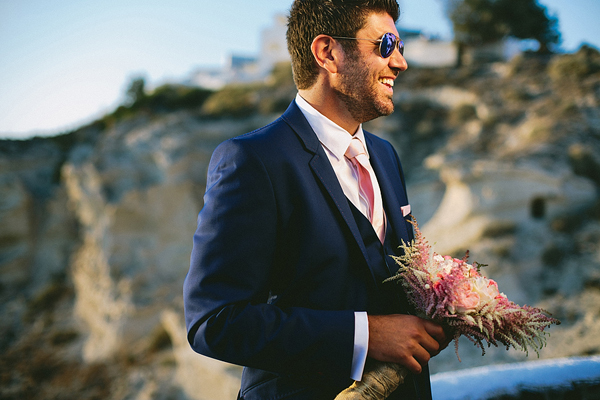 We have been swooning over the amazing shabby chic wedding in Santorini for hours! 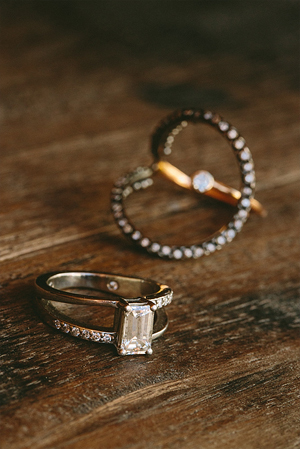 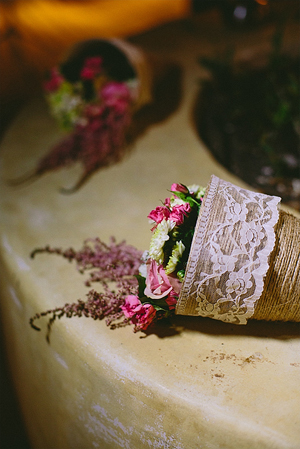 Every single detail carefully curated by the bride is utterly gorgeous! 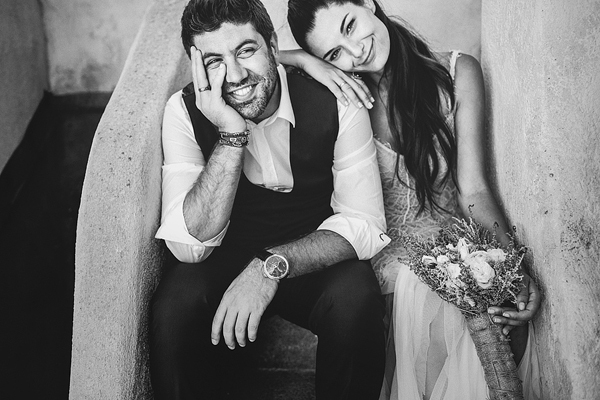 Vana, the beautiful bride wore a stylish airy wedding dress by Denise Eleftheriou, a designer that her creations are inspired by each bride’s style and personality. 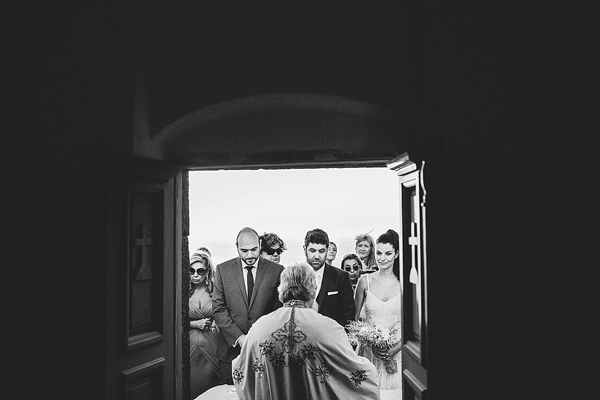 “From the very beginning we wanted our shabby chic wedding in Santorini to be a three day party… Friday afternoon with friends at Theros Wave Bar… dinner turned out to be a party that lasted to the early hours of the following day… Saturday was the wedding and the reception at Theros Wave Bar and… on Sunday from noon until late at night we had an after wedding pool party only with friends at Cavo Ventus” Vana told us. 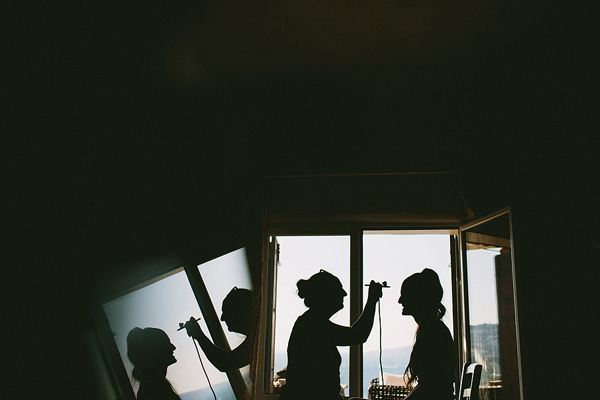 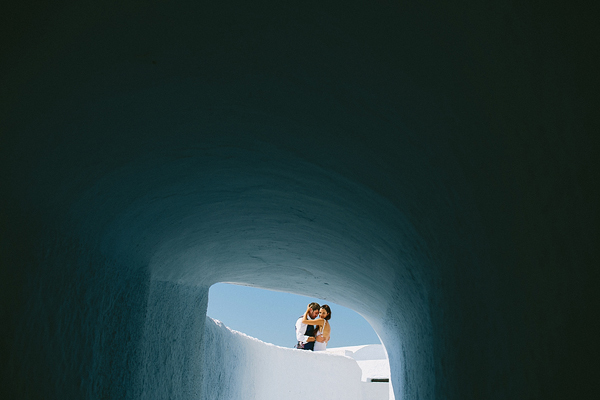 The bride got prepared in the Cavo Ventus villas that are built on levels around an old stone windmil with a stunning view of the emerald Aegean Sea waters. 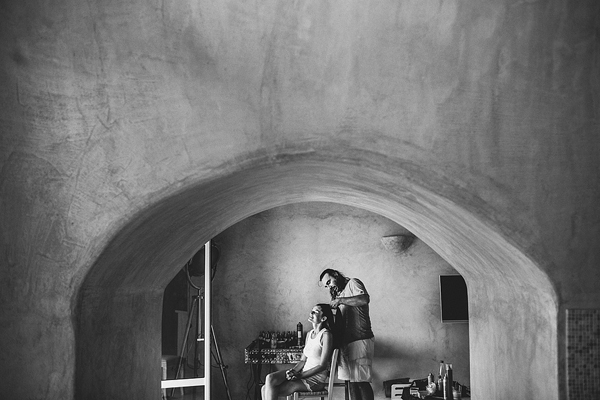 Her bridal makeup was subtle with earthy and natural tones that were conbined with hints of pink. 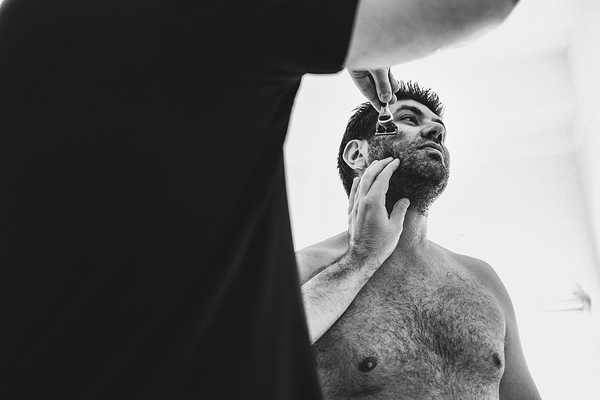 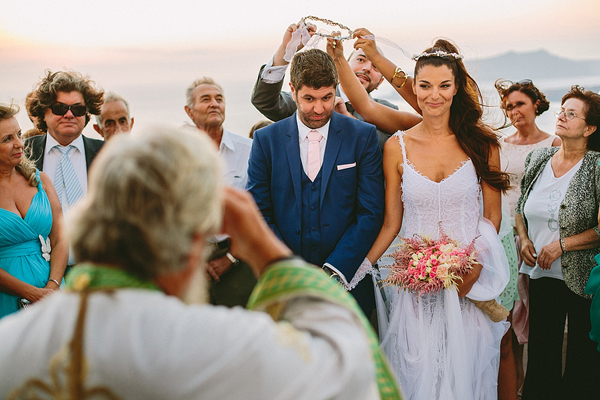 The island chic bridal hairstyle was created by hair stylist Antonis Rizopoulos from the known Beautique Hair Salons. 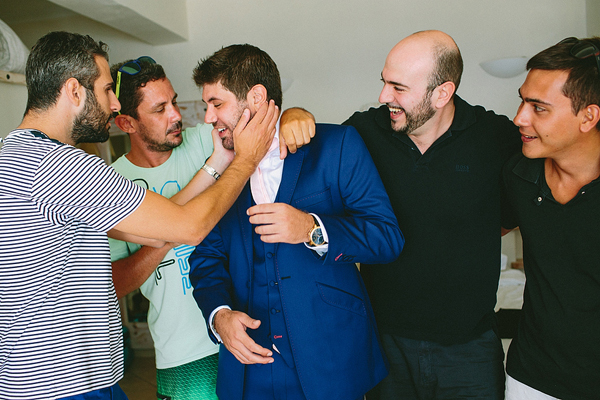 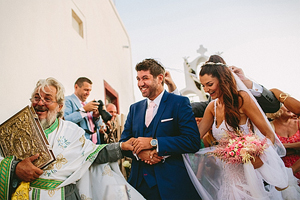 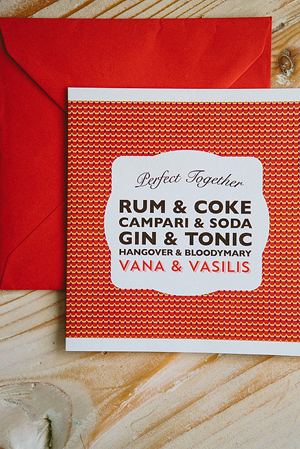 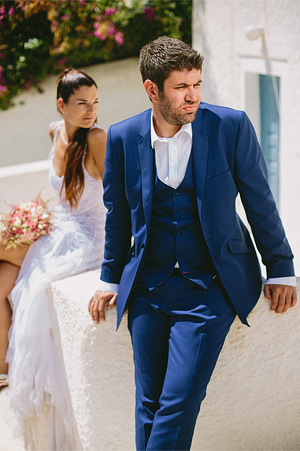 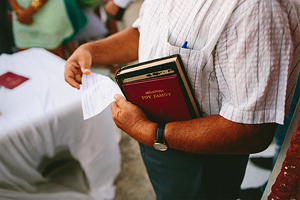 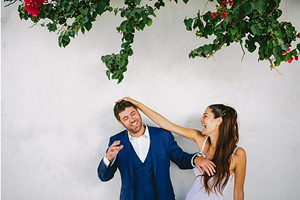 Vana and Vasilis got married at the Church of Agios Efstathios. 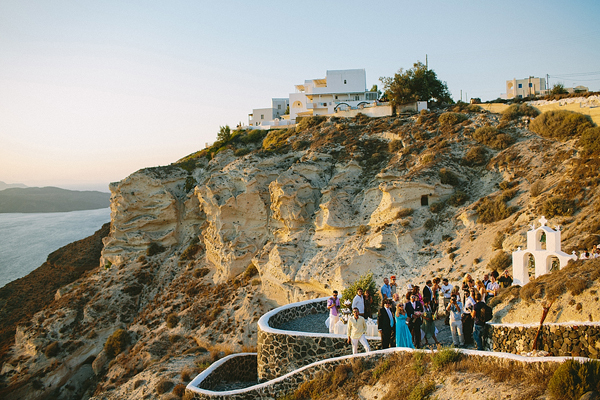 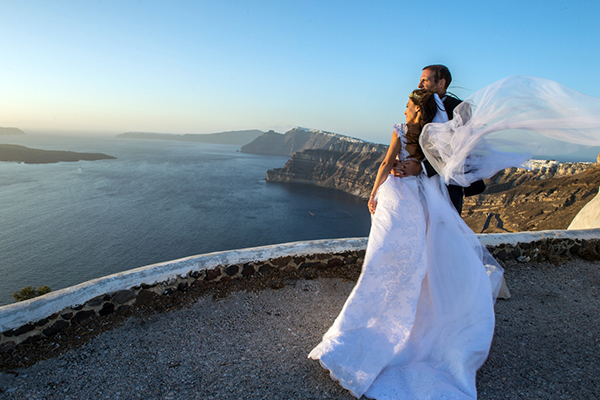 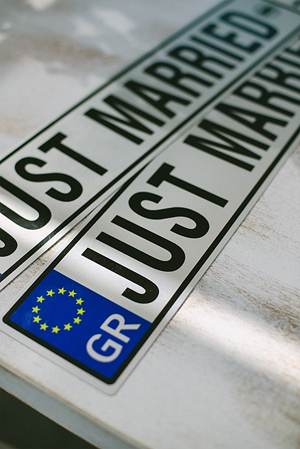 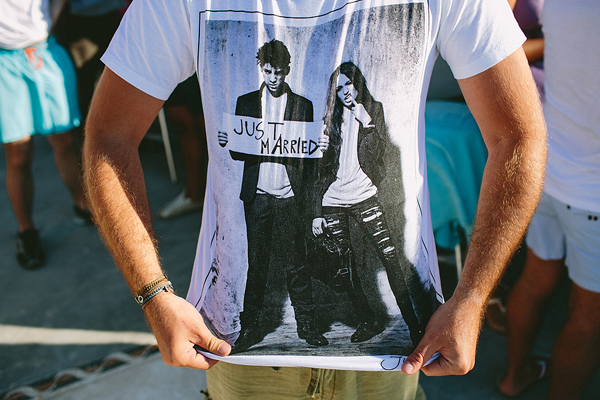 As Vana told us, their shabby chic wedding in Santorini was planned to take place on that exact date 31-08-13… as it is one of the few dates that can be read also in reverse. 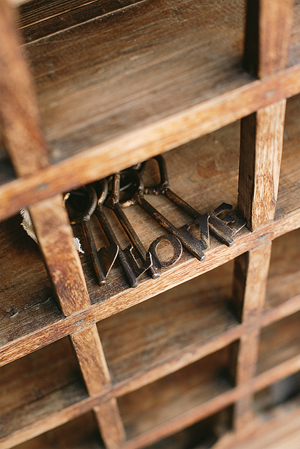 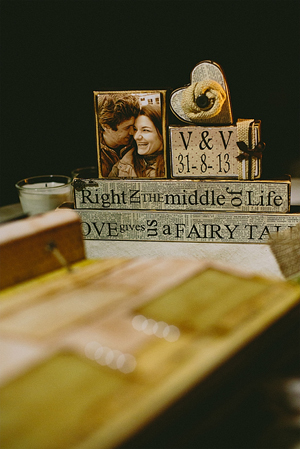 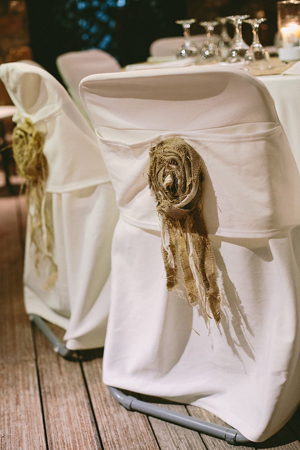 Shabby chic wedding details indeed… The wedding tray was made from driftwood and it also had rope handles. 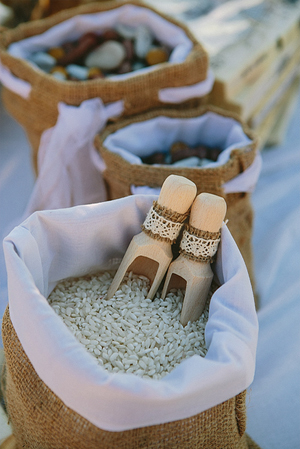 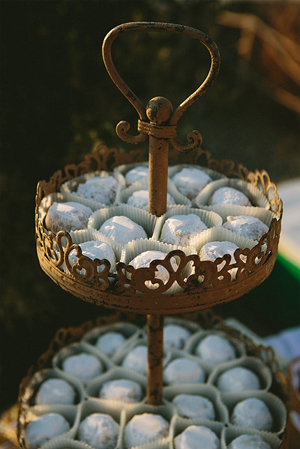 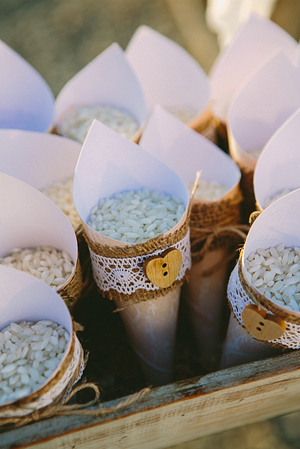 There were many beautiful wedding decoration details with burlap, such as the cones that were filled with rice. 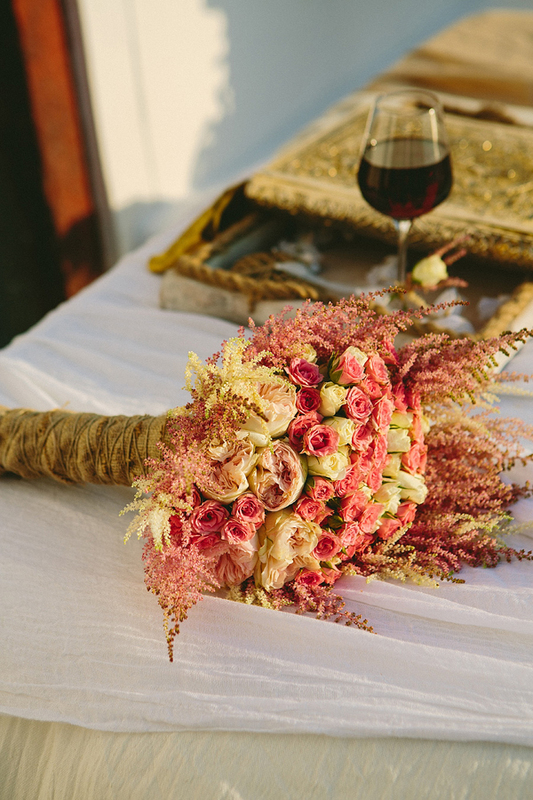 Vintage bridal bouquets with astilbe, David Austin roses and miniature roses. 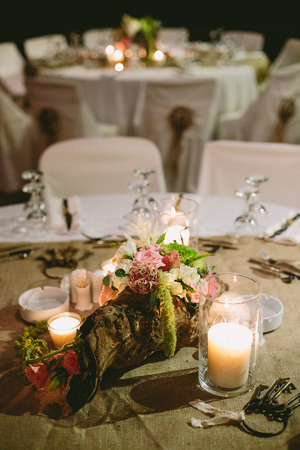 The flower astilbe was the perfect choice for this wedding location. 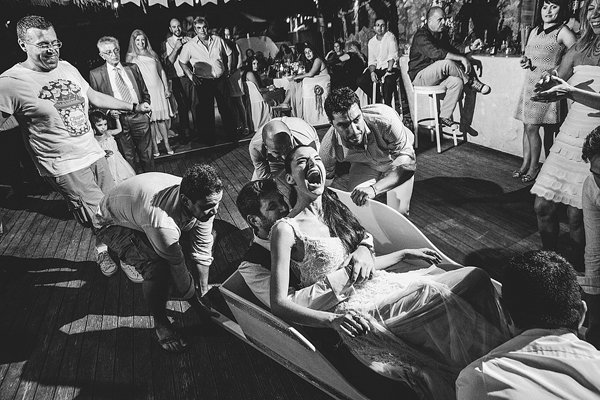 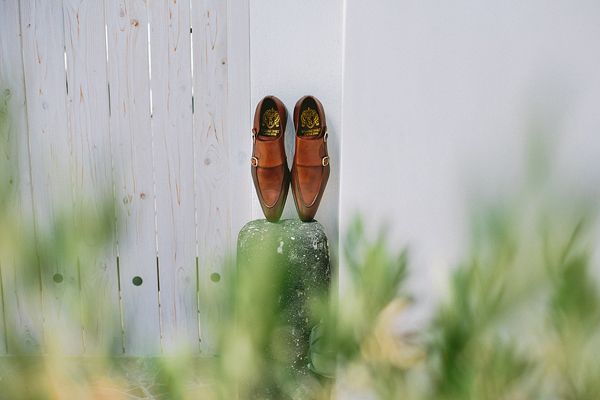 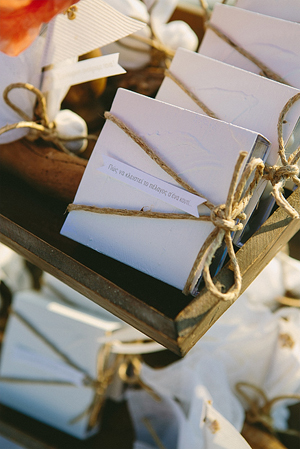 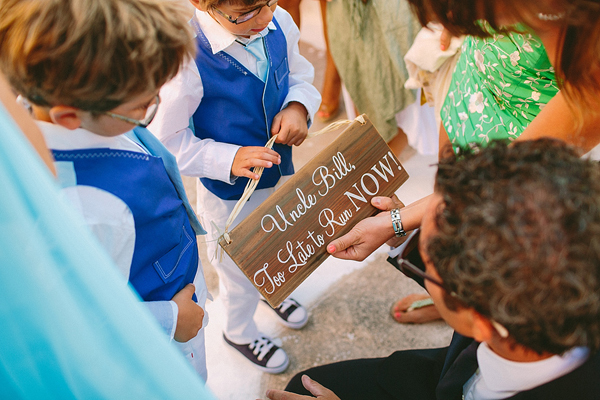 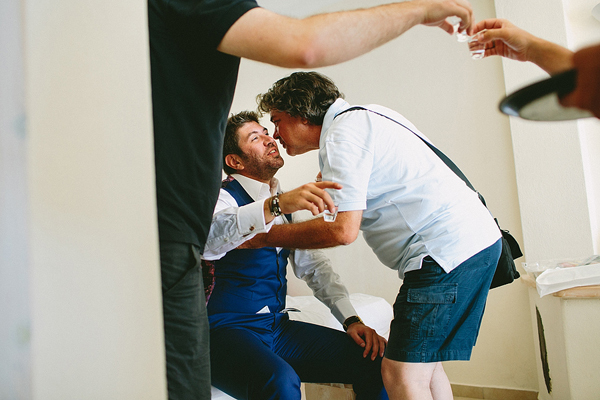 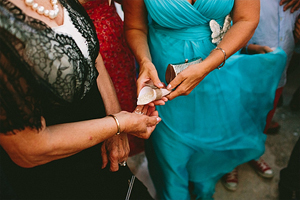 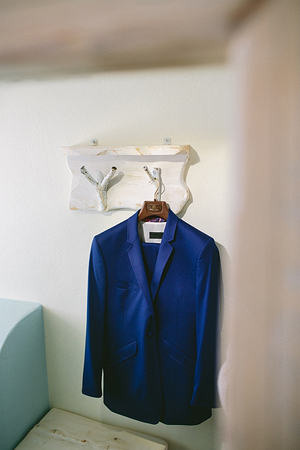 Vana and Vasilis had two different types of wedding favors: a sail boat made out of drift wood and a plexiglass box with a cover that immitated the texture of the white washed walls of the Santorini houses. 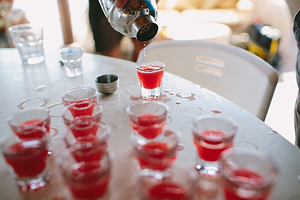 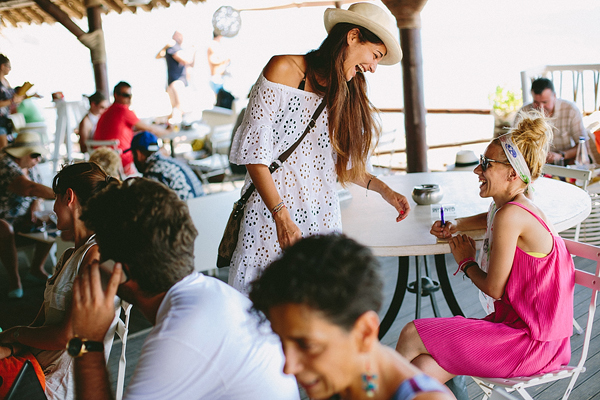 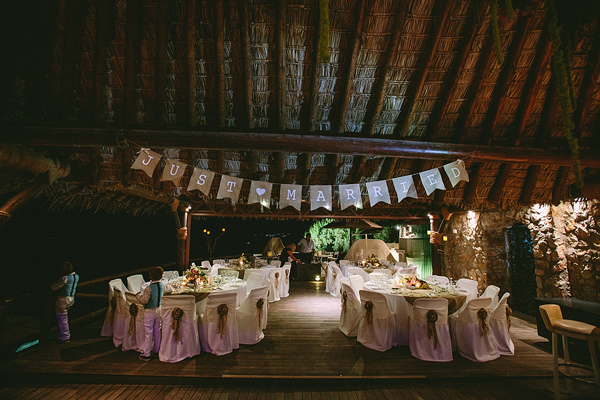 Perfect wedding ideas for an island wedding! 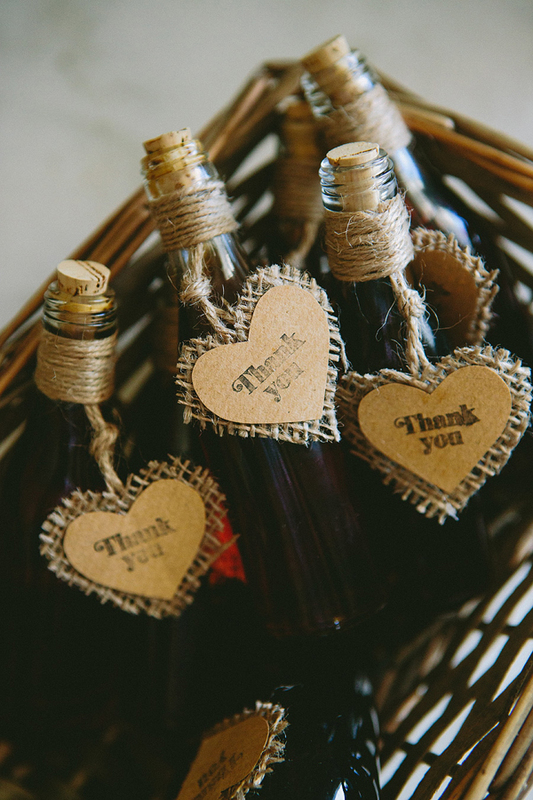 Absolutely gorgeous wedding welcome gifts: miniature bottles filled with vinsanto, Santorini’s traditional sweet wine. 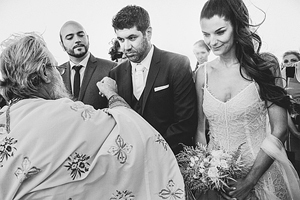 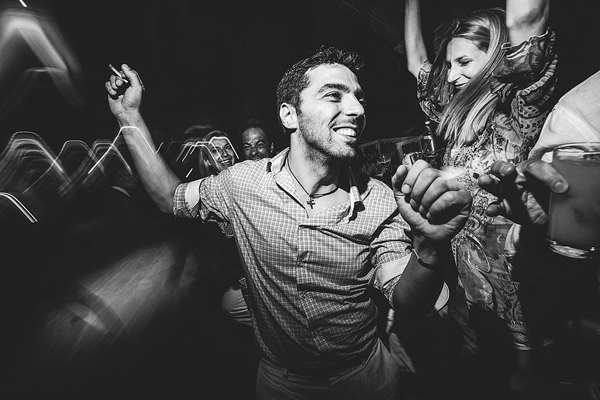 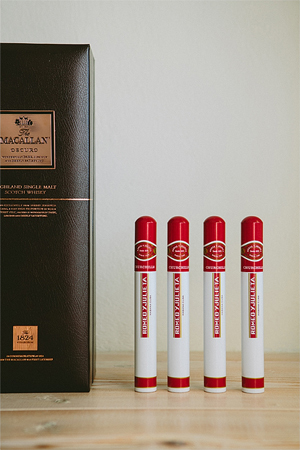 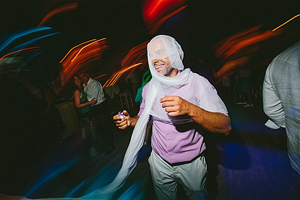 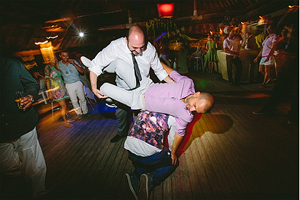 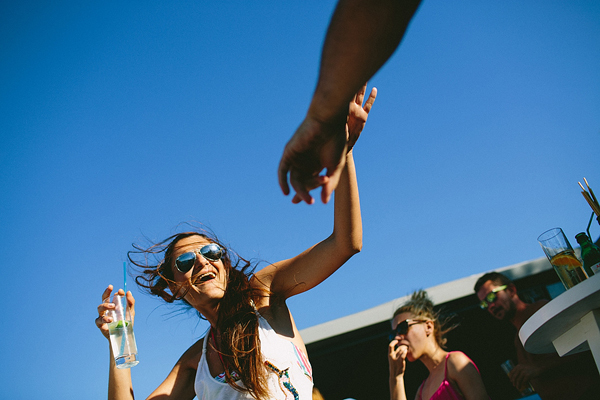 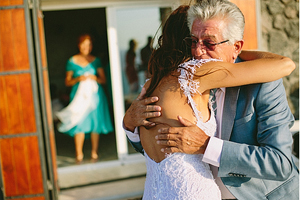 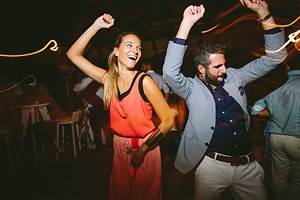 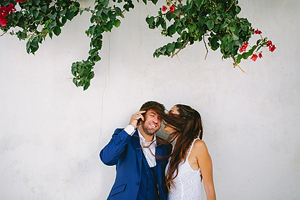 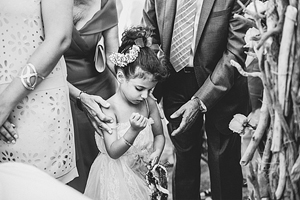 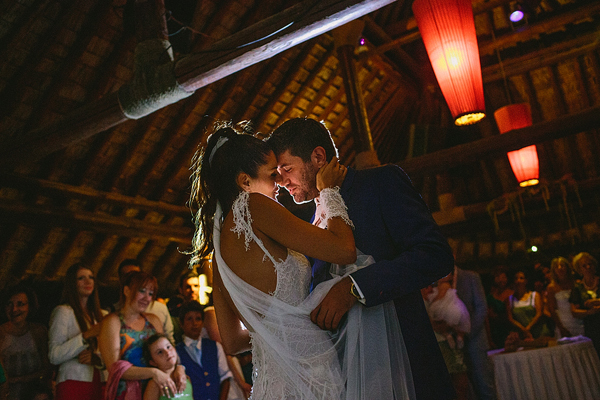 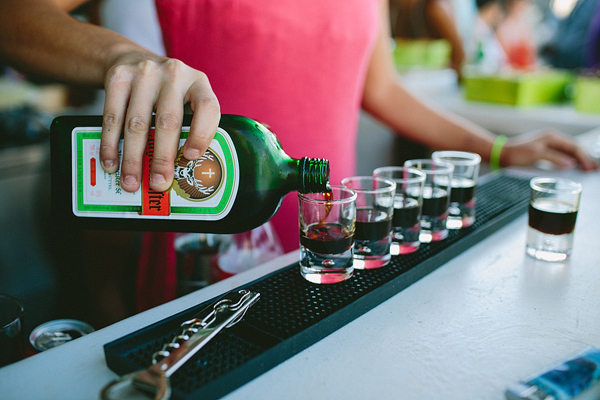 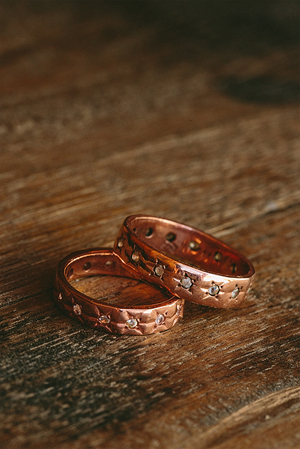 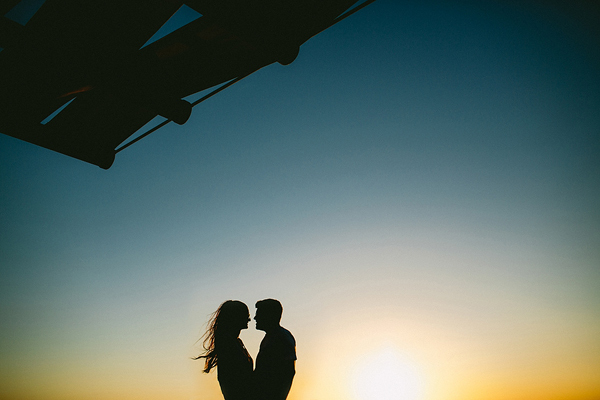 “One of the most beautiful moments of our wedding was our first dance…” says Vana. 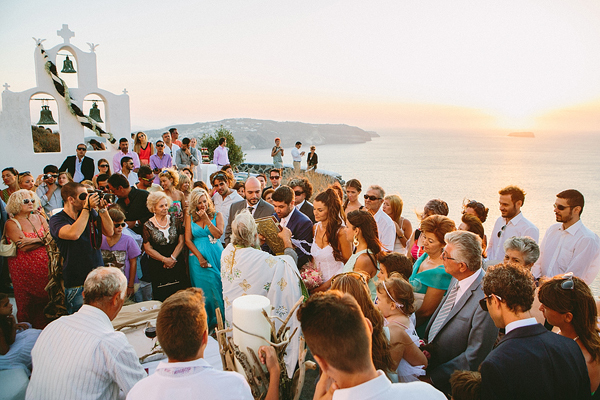 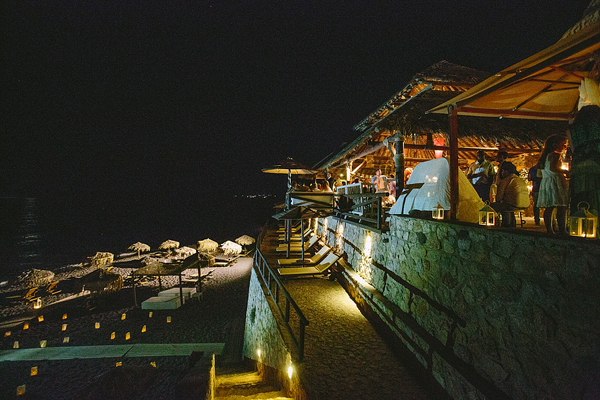 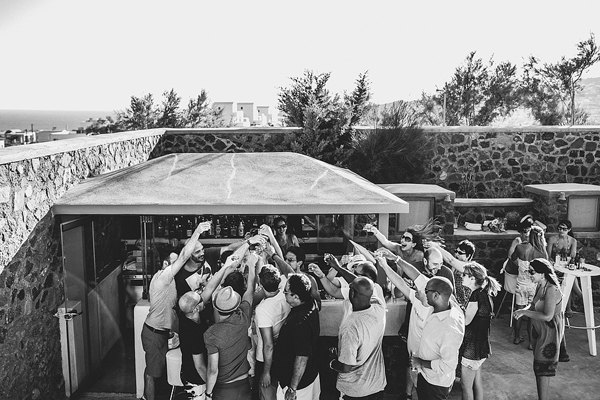 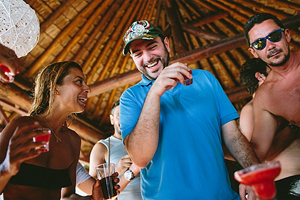 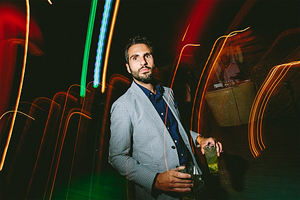 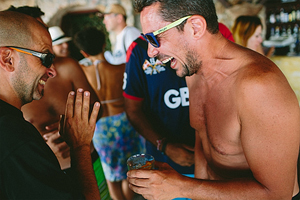 The next day an after wedding party took place at Cavo Ventus. 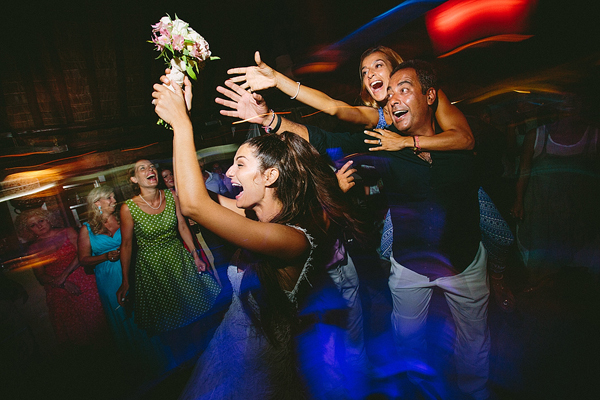 The newlyweds, friends and family had an unforgetable time! 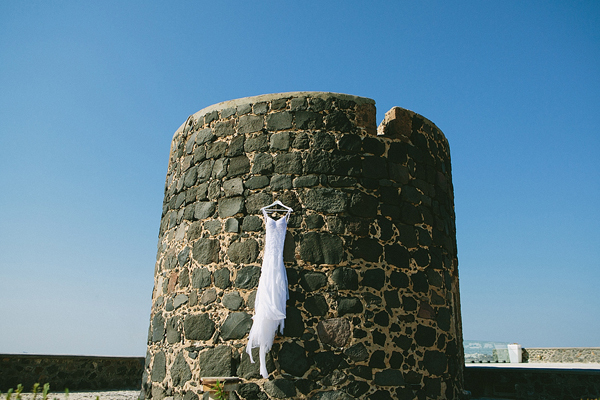 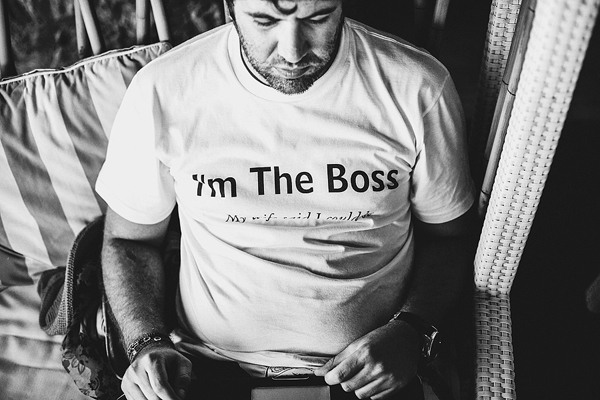 Asfis Photography, Be My Guest are on Chic & Stylish Selected Vendors.